Size, it seems, is no guarantee of success in today's volatile markets. The world's biggest sovereign wealth fund has just reported its worst year of investment returns since 2011. Norway's $876 billion oil fund made 2.7% in 2015, half the average it has achieved over the past decade. Real estate was its best play last year, generating 10%. Stocks were next with 3.8% and bonds lagged with 0.3%. The fund increased its investments in real estate by about $6 billion in 2015 to make up for poor returns in other markets. It bought a $1.5 billion stake in office buildings in Hudson Square, Manhattan. It is planning more property shopping in Asia, focusing on Tokyo and Singapore. "2015 was a year of currency turmoil, negative interest rates, falling oil prices and weaker growth expectations for emerging markets," the fund's CEO Yngve Slyngstad said in a statement. 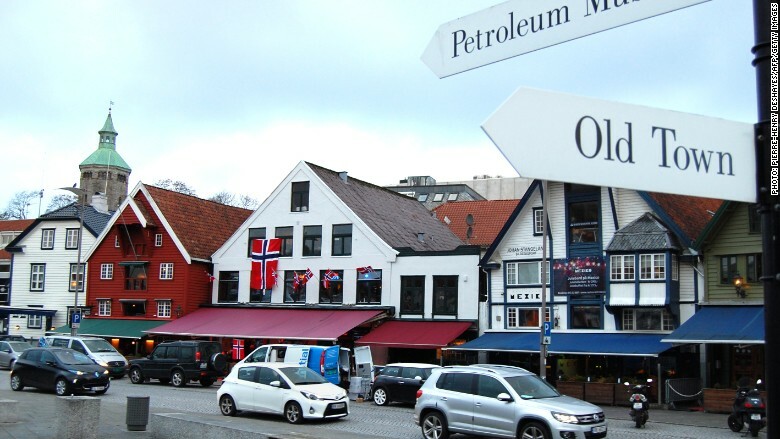 It was a tough year for Norway, a big oil producer. The collapse in crude prices has blown a big hole in the country's budget. Norway's central bank said the country might be forced to extract $9.3 billion from the wealth fund in 2016 to deal with the fallout of low oil prices. That would be the first time Norway has withdrawn cash from the fund, established to invest oil wealth to provide pensions for future generations. The Norwegian government pension fund is among the world's biggest investors in stocks, owning $534 billion worth of shares in over 9,000 companies globally. The fund's holdings include the largest stakes in some of the world's biggest companies. It owns a $5.9 billion stake in Nestle (NSRGY) and Apple (AAPL) shares worth $4.9 billion. Other major investments include Roche Holding AG (RHHBY), Novartis (NVS), Microsoft (MSFT) and Alphabet (GOOG), the owner of Google. Its annual report shows the fund lost 7% on investments in emerging markets. Its Latin American stocks were hit hardest in 2015, with the fund losing 38% on its holdings in Brazil. It lost 13.7% on oil and gas stocks.